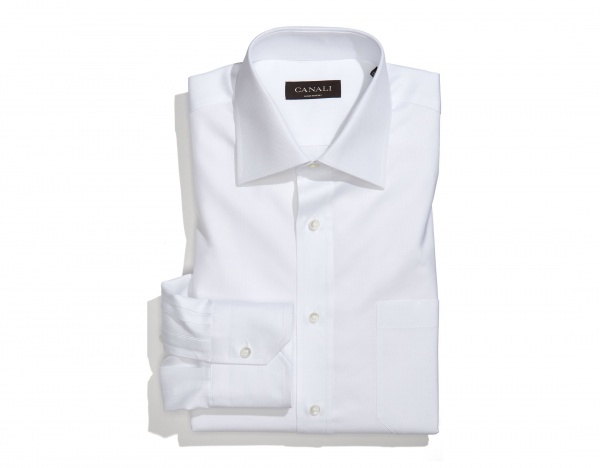 Canali goes for something simple with this regular fit, white dress shirt. The most essential of dress shirts, this piece features wide spread point collar, barrel cuffs, and soft cotton construction. The shirt from which all others are birthed, you can find this classic online now. This entry was posted in Dress Shirts, Tops. Bookmark the permalink.